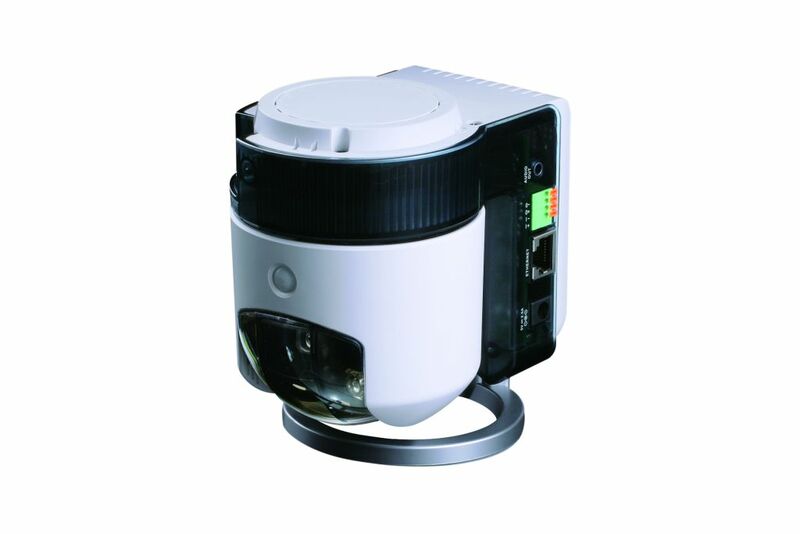 D-Link’s DCS-5230 is a PTZ network camera designed for indoor surveillance applications and remote monitoring. It can be placed anywhere at home or in an office through a network connection, either wireless or wired. Motorized pan/tilt controls with 16x digital zoom allow you to grab close ups and take snapshots directly from a web browser, wherever you are. Unlike a web cam, the DCS-5230 includes its own CPU and web server. It can be placed anywhere as a stand-alone device that connects to the network via high performance Wireless N technology, with up to 300 Mbps speeds and virtually no dead spots. 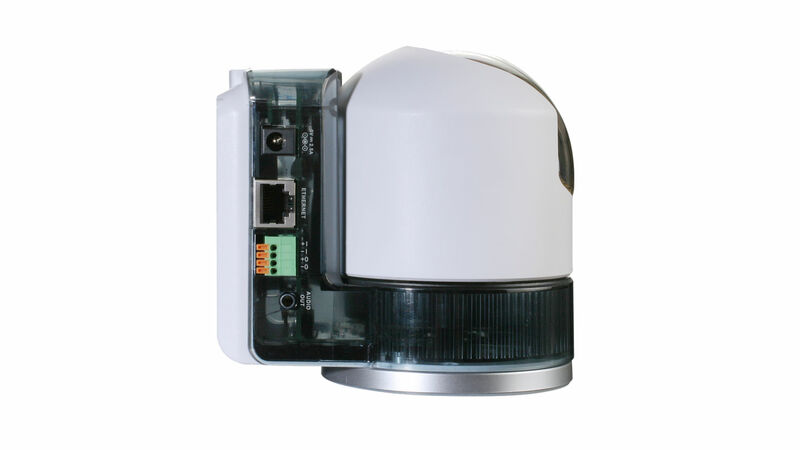 In addition, DCS-5230 features a built-in infrared LED for night surveillance and a micro SD card slot for front-end storage. It is also equipped with a DI/DO interface for connection to other devices such as a light or an alarm. A microphone is built-in and an external speaker can be added for 2-way audio. You can specify a precise area to monitor for motion. Motion detection uses a Pyroelectric Infra-Red (PIR) sensor that gauges movement based on the temperature of the objects appearing into the view of the detector. This ensures an accurate motion detection with minimal false alarms. You can also set the camera for Auto Patrol, which makes the camera automatically rotate and sequentially take a number of pre-set positions. The camera uses a 1.3 Megapixel image sensor that is capable of 10 frames per second at full 1280 x 1024 pixel resolution, and 30 frames per second in 640 x 480 pixels VGA mode. Megapixel resolution provides extraordinary detail and clarity that is not seen in traditional analogue and VGA cameras. Motorized pan/tilt controls with 16x digital zoom allow you to grab close ups and take snapshots directly from a web browser. The DCS-5230 supports 4 separate profiles simultaneously and is capable of recording in MJPEG and MPEG-4 compression with a choice of resolutions for a smooth performance. You can start recording video and audio automatically when motion is detected, or using a pre-set schedule. You can also set up automated e-mail alerts for all triggered events. Software is not required to record the action directly on a network storage device, or locally on a micro SD card*. With the D-ViewCam software included, up to 32 cameras may be monitored on a single computer screen at one central location. The DCS-3430 also features 3G mobile video support, enabling you to view a live video feed from the camera on a compatible 3G mobile phone or PDA anywhere in your 3G coverage area. The camera additionally provides a Privacy Mode option which can rotate the camera and hide the camera lens when requested. The camera includes D-Link’s Click’n Connect software (DCC). This intuitive wizard is run directly from the product CD-ROM. In a few simple steps, it takes you through establishing physical connections (power and cabling), setting up wireless encryption and displays a thumbnail image of the target area at the end of the process. The camera also adheres to the Universal Plug-n-Play specification, which allows computers running on Windows XP/Vista to automatically recognise the camera and add it to the network.